Running season calls! Time to get outside hit the road or the trail, breathe some fresh air and get comfortable exercising in the warm weather. Taking a cue from your body, the search for running gear should also focus on comfort and breathability. Comfortable gear should help runners reach that special nirvana where the miles disappear and the body is a machine that feels like it could move forever. If you are interested in making it to the finish line quicker, you need a proper pair of running shorts. In this industry, no one is better than Nike. In this update, readers will find out precisely how we were able to select each running short for your consideration and the criteria we used. Additionally, we took the time to answer some of the most commonly asked questions in hopes of making your decision process that much easier. Check this out! The perfect shorts can be as important as shoes when it comes to a great run. Joggers are looking for ease of movement and the ability to stay pain-free during the minutes and hours of repetitive motion that set any joggers pace. And as the weather heats up, shorts can also keep help keep you dry and comfortable, as well as cool as things heat up and humidity becomes a daily running partner. We predict the Dri-Fit Tempo will be the pair of shorts that will migrate to the top of your pile of workout clothes in no time. On training days it’s the pair that runners know will hold up, keep them comfortable, and dry. It’s the ‘set it and forget it’ gear that is functional but also serves double duty as just a generally good looking pair of athletic shorts. Made to mimic the feel of the ancient fabric of comfort and nobility. And just like the silk version, it will pull moisture away from the body making it a quick-drying fabric good for long runs. It’s wrinkle resistant strong and incredibly lightweight. It’s built to keep up with every kind of runner from a sprinter to a mile-eating marathoner. These shorts are designed to help runners keep their cool. From the quick-drying fabric that pulls moisture away from the body to the side mesh panels that promote air circulation these are the shorts, every runner will want on hot days. The Dri-Fit brand gives a lot of bang for the buck. They are reasonably priced and match up well with most of the other brands on our list. But they’re packed with the kind of little extras that runners will appreciate when the road calls. The Rival is recognizable by the wide stretchy waistband that is its calling card. Come for the looks but stay for the Dri-Fit technology that wicks moisture away from the skin, the built-in lining and the convenient internal pockets and reflective lining that lets the world know a runner is coming. A wide waistband, built-in liner, and inner drawcord help make the rival all about comfort. A large inseam allows full range of motion while keeping the fabric snug to the body. 2 internal pockets and a small zippered back pocket make the Rival perfect for carrying the essential that any runner needs while on that long training run. While not exactly on the low end the features of the Rival has enough added value to make it worth a few extra dollars. Pocket space and a snug comfortable fit promises high-end form and function. Like the name implies these are the shorts made for the runner who’s pushing the envelope. Designed for comfort and durability the Challenger will take anything a workout can throw at them. Post workout simply tosses them in the washer on cold and they’re ready to hit the road again in no time. Dri-Fit technology keeps whisks moisture away from the skin and back into the air quickly. The built-in liner enhances the comfort these shorts bring to the table. An inner drawstring makes it an easy and quick custom fit for runners who need to get out the door quickly. The Challenger shorts fall on the cheap side and their looks and ability to keep a runner dry and comfortable makes a good case for making these every runner's go-to shorts. Cool comfort for the distance runner is what these shorts are all about. Add multiple pockets and a built-in brief and these shorts should satisfy the most finicky of long-distance runners. And the Dri-Fit technology helps keep runners cool as the miles add up. A built-in brief and an elastic waistband keep these shorts snug and comfortable. The flex fabric lets the shorts move with the runner and allows a full range of motion. Room for keys, wallet and a phone allows runners to hit the road with confidence. A bit on the higher end of some of the other products. But these shorts with their deep pockets and mesh lining can do double duty on the track and beyond. Stylish and functional, these crew shorts are a lightweight and versatile running partner. The wide, snug waistband ensures a good fit and the drawstring makes these shorts fit like they were made specifically for every individual runner. Dri-Fit technology is one of Nike’s calling cards, a specialized polyester fabric that pulls moisture away from the body and dries quickly during even the longest runs. These crew shorts are equipped with a wide waistband and a drawstring that allows a personalized comfortable fit. 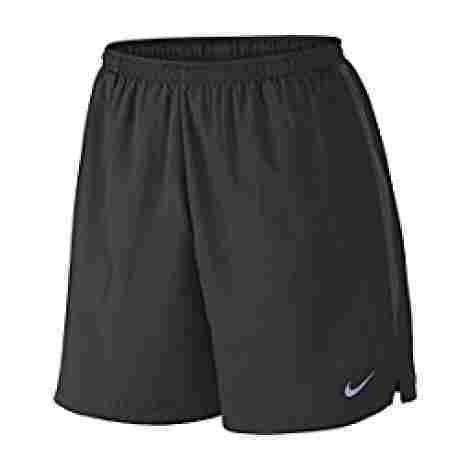 Reasonably priced in the mid-range for Nike shorts but the reflective material, breathable inseam, and easy care make these a great choice for runners of every stripe. These shorts are all about fit. A polyester loose fabric over a stretch fabric inner lining ensures that these shorts will stay put and keep runners snug during a run. There’s no shortage of pockets, and the wide waistband sets these shorts into a class all their own. Instead of a mesh lining, these shorts fit tight against the leg while the polyester Dri-Fit fabric still manages to pull moisture away from the skin. Despite their snug small size, there are three inner pockets that will hold everything you need to keep you safe and occupied during those long runs. Mid-range price but for the runner who wants to stay snug and comfortable during a run these shorts do the trick. You’re guaranteed a tight fit but a cool ride in this body-hugging compression shorts. It doesn’t seem like there is a lot to them but in this small package, there’s a lot to recommend. A triangular gusset makes for easy movement along with water wicking technology and a flat elastic waistband. It these are a bit small for your tastes these compression shorts work great as a first layer on a long run. Simply toss them on and then put on a second loose layer as you head out the door. The shorts pull moisture away from the body to help keep you cool and dry during even the most intense runs. Form-fitting but not restrictive these compression shorts are specially designed to give you a full range of motion with a flexible triangular gusset. These shorts have a low price point, which helps recommend them even if you plan to wear them as a base layer. Simple but effective these woven running shorts are nearly weightless but come with all the bells and whistles that you’ve come to expect from Nike; Dri-Fit technology, reflective striping and an inner lining to keep runners dry and comfortable. Elastic waistband ensures easy on and easies off and out the door. Everything about these shorts is simple, from the reflective taping to the near weightless construction. Nike’s Dri-Fit technology never goes out of style. It works by wicking water away from the skin and polyester material ensures quick drying of the material to keep runners moisture free as long as the run lasts. A bit on the high end but worth every penny as these shorts just keep going and going. If there’s such a thing as minimalism in a running short the 10k meets the mark. And yet these simple looking shorts allow a complete range of motion. And the Dri-Fit technology and mesh lining help pull water away from a runner’s body. So come for the simple stylish look and stay for all the added features. These shorts are designed for ease of movement and minimal interference in a runner’s groove. Lightweight and breathable these polyester shorts are made for long runs. Simple doesn’t mean one size fits all. These shorts have an elastic waistband with an included drawstring that allows a runner to personalize the fit. 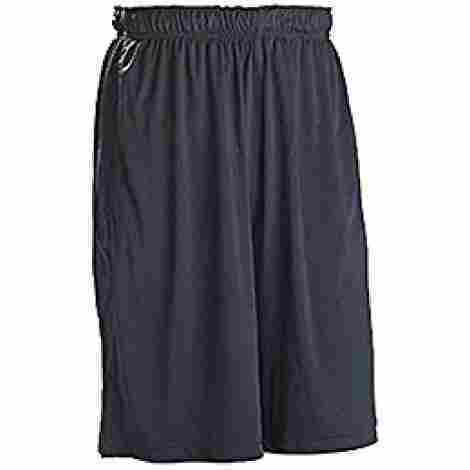 Eminently affordable these mid-range shorts provide low cost and a lot of bang for the buck for any runner who is looking for high-end features in a simple package. Stability is the watchword on these shorts. With internal pockets that are stabilized runners don’t have to worry about keys or a phone bouncing around against their lead during a long run. There’s plenty of room for to store your stuff plus a special double turned inner drawcord allows for even more stability for the long distance runner. A unique feature on the Fly shorts the stabilized pockets make sure that keys, or media stays put during a run. Minimizing this often annoying element of any run can make all the difference between a good run and a great run. An elastic waistband is just the start of these shorts also have a double turned drawstring that promises durability as well as a perfect fit. Functional and cheap these shorts may be one of the best values on this list. The stabilized pockets, the turned drawstring, and the Dri-Fit technology suggests you want to make sure and have at least one pair in your workout drawer. Nike shorts bring a lot to the table. The Dri-Fit technology, inner mesh lining, and side vents are crucial for any distance runner. Pockets allow you to get more of what you need out the door and on the road, and it’s Nike so it’s always stylish. So if you can’t make a choice, know that it’s hard to lose with any of the products on our list. 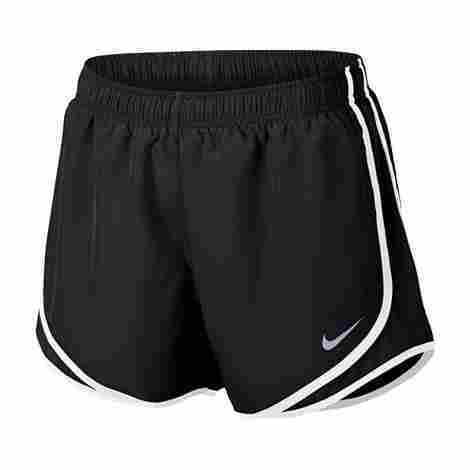 Now that we have talked about the top ten best Nike running shorts that an individual can buy today, we are eager to share with our readers how we came up with this list and the specialized criteria that we tried to follow. Now, when it comes to proper gear, our dedication is to always conduct proper research and find the best products available. We do so, by looking at the reviews of the product, as well as the history of the brand, and what taking into consideration what users desire from such specific products. 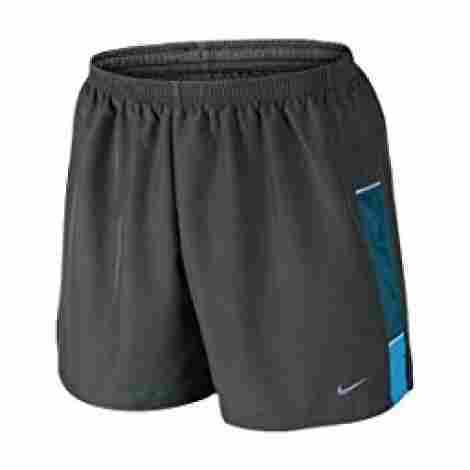 When it comes to this particular list we only included the top ten best Nike running shorts. Nike is known as one of the top premiere quality athletic companies in the world. Being highly touted by industry professionals to being the chosen brand for numerous professional basketball players, Nike offers a wide range of professional sportswear items. With that said, we knew that the stakes would be high to find the best Nike running shorts. To better begin the process we developed our criteria list, which happens to be a specific set of guidelines to follow when it comes to each of the shorts. Since Nike has such an extensive athletic line, the Nike shorts are endless. We found the top ten by following the criteria below. With that said, a user can feel free to use the specific criteria below for finding their ideal running shirts. Let’s begin with the quality! When it comes to quality, we wanted to ensure that the running shorts were designed from some of the best, top of the line materials and suited for different running events. Whether an individual wants to go day running, night running, or professional running, the quality of the shorts is vital to the overall success of the item. For us to include the shorts we wanted to take other factors into consideration that added to the overall quality of the shorts, which we will talk about further on. Now, since quality is synonymous with the Nike brand, we knew we had to look at the shorts in a different way. This meant looking at the overall construction of the shorts and how it affected the style, design, etc. With that in mind, below are specific criteria we followed to ensure the quality was top of the line. Let’s begin with the short material! Now, what material is best suited for running? Some individuals will say cotton, polyester, or spandex. However, we wanted to include a wide range of short materials, so individuals can feel that there was a wide mix on this list. However, it is the primary purpose of the material that ensures quality. Meaning, an individual does not want shorts that will cause chafing or any discomfort. 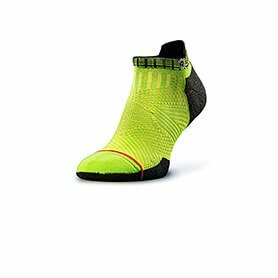 The material, for purposeful running also has to be made from the most lightweight material to ensure maximum comfort and allowing. Now, what we discovered is that many of the shorts are made from lightweight synthetic material, polyester, or a spandex comfort blend to ensure a maximum lightweight design. What is cool is a specialized material design that Nike has included in almost all of their shorts. For individuals that sweat often and are not a fan of running in soggy shorts, Nike has introduced the Dry-Fit Technology in many of their running shorts. The Dry-Fit fabric is for individuals that want to ensure maximum comfort while running. It helps keeps an individual dry while running by wicking away moisture. Other than this, another masterful combination of materials and comfort is that some of the shorts have a mesh lining on the side for better airflow and ventilation. With that said, the last material we noticed that is a great piece of craftsmanship that allows for better movement and flexibility is the Nike Flex fabric, which allows for easy movement and flow when running. Now, let’s move on to another important criterion that we knew would be very important for running enthusiasts and our audience. When it comes to picking the best running short design, individuals want variety because it says a lot about the individual. Therefore, we wanted to ensure that the running short design was masterfully created with top of the line aesthetics in mind. Although running shorts are very simple, everything from the flex drawstrings to the inseams is designed masterfully to withstand the test of time. 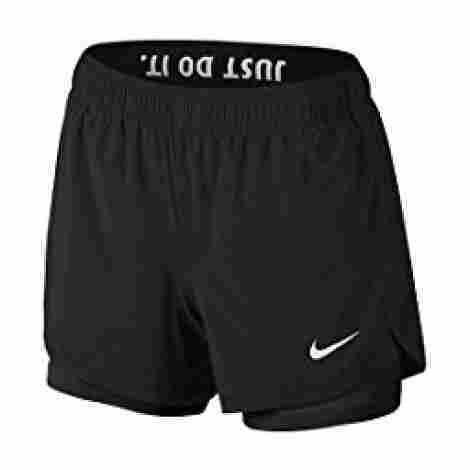 Now, no short is finished with the traditional Nike logo symbol at least on some part of the shorts. What is somewhat unique about the running shorts that we chose is even a couple of them had running pockets in the design for added variety and multi-use function. Now, whether an individual wants an elastic closure or a pocket design, or a high-knee running short, Nike has them all. Lastly, the short design had to be of the best quality to withstand a lot of wear and tear as well as machine washable, so individuals can find them easy to use. Whether they were designed as a stylish fit or designed for long-range running, all of the shorts we included on the list are designed as a top of the line shorts. Which brings us to another important factor that we knew would be important to individuals. Color choices, much like the design, tell a lot about an individual. Therefore, we wanted to include many shorts that had different color choice options available. However, the color choices had to compliment the design. As one can see, there are different shorts that have different color choices ranging from black to blue and short shorts that have red and pink. With that in mind, the Nike brand offers many different color choices available, so users can have their pick, or collect them all. Which leads us to the next step, Nikes dedicated to providing quality athletic gear to every individual by offering a wide selection of sizes. One aspect that we take into consideration when we talk about certain athletic gear items or outdoor clothing is the size. The short side of the shorts is very important because we wanted to ensure we included a wide variety of styles that offered different sizes so do not exclude any individual. With that said, we discovered that Nike is one of the most versatile brands as far as offering quality shorts that range in sizes. With that in mind, we had no problem finding different quality shorts where the seizes range from x-small to x-large x7. Now, it is important that sometimes the shorts may be out of stock for a particular size and it is important to check back to see when it will be available. With that in mind, let’s move onto the cost per shorts and what users can expect. As we discuss cost and value, we want to share that the prices of the shorts can range drastically. Why is this? Well, the cost of the shorts ranges on different factors. 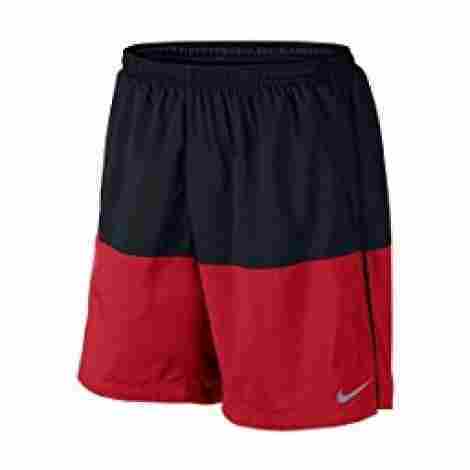 Depending on the most popular color that is on demand, the shorts will change. Another aspect to take into consideration is the cost of the shorts depending on the specific style and the size of the shorts. Users can expect, however, that the shorts will be of the best quality and designed with masterful design elements in mind. As far as value, Nike is known to provide some of the most durable clothing and gear in the industry. Therefore, the value is nothing to worry about as users will find the athletic running shorts to be durable, easy to wash, and comfortable to wear all day long. This was one criterion that we took into consideration and we often do when it comes to athletic gear. Athletic gear and clothing tend to have different design elements that are meant to make that specific product standout. With that in mind, some of the design elements of certain shorts include stripes on the side for the better style and better stretchy cords for comfort adjustment. With that said, users can expect that each style of shorts will have different design elements that will make them unique, some being more simple than others. One of the best aspects of the Nike brand is their quality and we wanted to make sure that the quality of these running shorts matched all of their other athletic gear. Users can expect that the quality of these shorts will be superb and that they will be able to withstand the test of time by being extremely durable, high quality, and well-built. 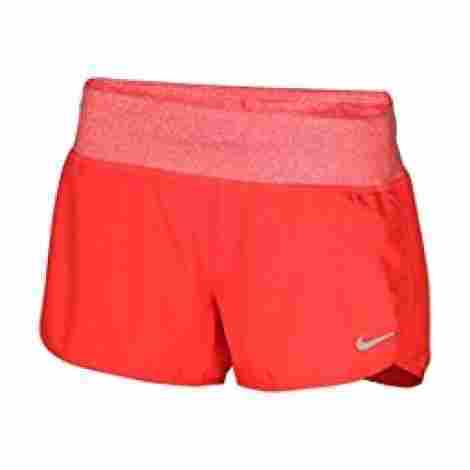 Now that we have discussed the different criteria that we use to evaluate the best Nike Running Shorts, we are eager to share the Frequently Asked Questions portion of our article. Let’s talk about the questions that individuals ask themselves the most. Q: Are the shorts machine washable? A: As one of the most frequently asked questions, users want to know if the shorts are machine washable. We can say why considering that an individual will most likely be running with them and they can get sweaty or have an odor. With that in mind, practically all Nike sportswear is machine washable. However, it is always best to read the washing instructions of the shorts and what temperature the water needs to be at to avoid wrinkling or shrinking the shorts. Q: Do the shorts have pockets? A: This is one of the most asked questions when it comes to running shorts because people want to know if they can take their items with them. With that in mind, this really depends on the style of the shorts and we can say that about 20% of the shorts do not have pockets. It is always best to look at the style description of the shorts for a better understanding of those particular shorts. Q: Can I do yoga in the shorts? A: As one of the most frequently asked questions, running shorts are not totally different from yoga shorts. Other than yoga shorts most likely being a bit more flexible, running shorts still offer the same amount of breathability and flexibility as yoga shorts so users can use them for virtually anything. With that said, users can run in these shorts, practice yoga, or any other sport that they desire. A: This is one of the most frequently asked questions because the user wants to know if the shorts can wick away moisture. With that in mind, specific shorts are designed with flexible materials in mind. For example, Nike has revolutionized the sports industry by introducing the Nike Flex material. This material allows for added comfort and flexibility for users that want to easily be able to move around in their shorts. Q: Do they wick away moisture? A: This next question is common with any athletic item. Many brands speak that their products can wick away moisture. Whether it is a water-resistant coating or water-resistant material that is designed for more comfort, users want to know if these Nike shorts can wick away moisture. Yes, they can! 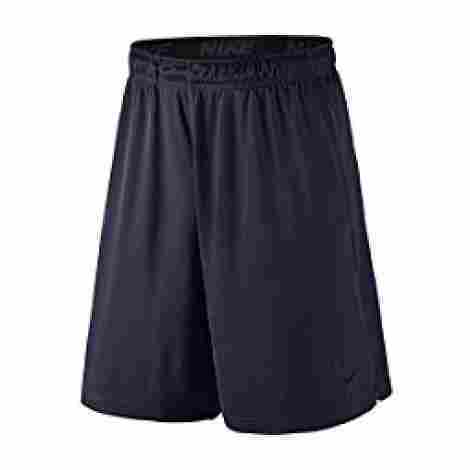 With Nike’s Dri-Fit technology, users can be guaranteed that the shorts they are wearing will allow for all-day comfort so they can wear the shorts all day, even if they have broken a sweat.